In this article, I will evaluate the possibility of a new era where man and machine (artificial intelligence) will work together to improve the decision-making process and human lives. Data science, analytics, and machine learning are at the core of evolution of artificial intelligence. Let’s try to understand the power of collaborative decision making between intelligence and artificial intelligence through the game of chess. Garry Kasparov, the Russian Grandmaster, is considered by many to be the greatest chess player of all time. In May 1997 he played a series of six chess games with the IBM supercomputer Deep Blue. Deep Blue defeated Garry Kasparov with a margin of 3½–2½. Many termed this as the dawn of a new era where machines will triumph over humans. However, Garry Kasparov himself saw this as an opportunity and conceived the idea of a new chess tournament called Advanced Chess or cyborg chess. 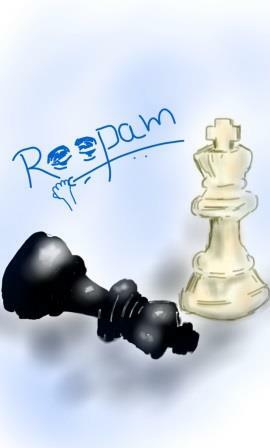 In Advanced Chess, a game is played between teams (with humans and computers) rather than individual chess players. The first game of Advanced Chess was played between the team of Garry Kasparov and computer vs. Veselin Topalov and computer. Kasparov was a far superior player than Topalov and in a human only tournament defeated Topalov with a huge margin of 4-0. However, in this new dynamic of collaboration between humans and computers, Kasparov and Topalov settled for a tie of 3-3. Later in 2005, based on Advanced Chess a new form of a tournament was evolved called Freestyle Tournament. In this, a team can be comprised of any number of humans and computers. That same year what happened surprised everyone. ZackS, a team with amateur chess players Steven Cramton (ranked 1685), Zackary Stephen (ranked 1398), and their much inferior computer systems defeated teams with Grandmasters and supercomputers. This according to me was the new dawn of decision making where intelligence and artificial intelligence were working together and collective power was more than its parts. There is a fundamental difference in the way humans think and machines think. Let’s go back to the Garry Kasparov and Deep Blue chess series. Gary Kasparov while playing, consumed about 20 Watts of energy whereas Deep Blue consumed many thousand Watts of energy. The reason for this is humans use intuition and years of experience embedded in their neural circuitry to play a game. On the other hand, computers operate on brute force. Gauss, to everybody’s surprise, reported his right answer in less than a minute and destroyed his teacher’s leisurely time. Coming back to chess, computers painstakingly calculate every move and its probability of winning before making a move. Chess, for instance, has more moves possible than the number of atoms in the universe. To calculate every move and winning probability will take forever. In contrast, a Grandmaster will never make so many calculations but play the game more on his intuition and experience. This right collaboration of brute force and intuition was the reason why ZackS, a much inferior team, was able to defeat teams with superior players and computers. Grandmasters and supercomputers were possibly not collaborating as well as ZackS. As discussed in the last section, optimal decision making will be empowered by collaborative intelligence of humans and machines. This requires humans and machines to work as a team. We all know, great teams are not just set of great individuals but requires great collaboration and enhancing each other’s strength. This is true for every single activity in data science and analytics. As a data scientist, one has to be able to classify aspects that require brute force and others that require intuition and experience. Additionally, while designing decision support system one has to respect human intuition and judgement, along with the calculation power of machines. This will require data scientists to design systems that promote appropriate human and machine collaborations rather than systems skewed in either direction. Even decision makers need to be aware of this aspect that great decisions are made in collaboration with machines. Coming back to Stephen Hawking’s doomsday prophesy. Hawking has a point in his warning but what we are missing is a bigger message in his prophecy. If we act like Carl Gauss’ lazy teacher and let brute force run wild then be prepared for a bleak future. However, if we collaborate well with artificial intelligence and create an optimal team then there is absolutely nothing to worry about. Hence, data scientists and decision makers please stop being lazy and collaborate well with this new technology. It is the combination of intelligence and artificial intelligence that will create a wonderful planet we all strive for. Thanks for this article. I’m keenly interested in person-machine collaboration as a paradigm. Are you aware examples other than the ones you’ve cited, or people doing research in this area? 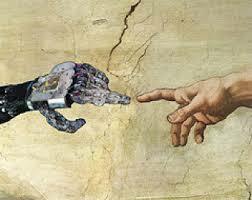 I have also been writing about trends and applications of artificial intelligence technologies. You can find an overview here. Freestyle chess is one of the most coherent examples of person-machine collaboration that I have come across. Since, it has instances of all possible combinations of participating teams competing with each other. There are other instances of person-machine collaboration in the commercial arena like banking, sales & marketing, risk management etc. but this is still an evolving field in terms of right combinations for decision making. I foresee a much more directed research / industry focus in this area because of rapidly evolving technology and growing usage of artificial intelligence and machine learning. However, these are still early days to formulate a concrete person-machine collaborative strategy. Thanks Anup. Yes you are right about the generalised form of Gauss’s trick N*(N+1)/2. He got the idea for the generalised formula from this problem in his class, quite a brilliant guy at a young age, wasn’t he? I think the Gauss example actually opposes brutal force to…trick. It is more about elegance and efficiency, Gauss solved the problem with cunning and he gave out an exact answer that would have required much more time by brutal additions. Chess programming is not an exact science and the probability of a winning move would depend on the probability weight calculations which depends on experience inputs. If I am not mistaken, Deep Blue decision base included a huge games and outcomes scenarios database, of actual chess games played by Great Masters. Artificial intelligence is not about brutal force, it is about data processing like humans would do astutely but faster (than human could ever do) and without omitting details. DeepBlue is already the result of machine and human collaboration. The day when machines, when faced with novelty, can make decision with intuition and from indirect experiences, will be the doomsday. I wonder how the Freestyle Chess setup might work with a more complicated game, such as one of the many variants of no-limit poker. The results would be truly fascinatng and very applicable to not only every day decision making but also the most important problems in international negotiations, etc.